This little one's name is "Dolly". She told me so herself. I bought her because she is about the size of a newborn in both body and head. Just adorable. Again thank you for the pattern. 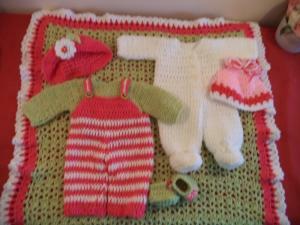 I have my own "Dolly" so these patterns will be wonderful for poor naked Dolly. Many thanks, as always, for all your fabulous patterns. I wonder how many of your patterns I have collected over the years? Dozens I would guess. The trouble is that sooner or later the info has to be typed into the computer and the pictures have to be taken and processed. Taking as many as 3 pics can put my back out of place for a couple of days because of the half stooping posture to get the pics. 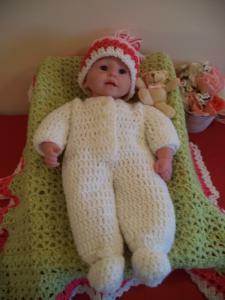 One of my patterns here had over 200 downloads and about 10 people said thank you. There are over 500 in my Yahoo group and maybe 2 or 3 say thank you when I post there. I get the feeling that people think my patterns are worth what they pay for them so it isn't worth the discomfort. I admit that it will be hard to give it up but my back gets the final vote. I understand what you mean about the pictures. I make about 20 just to get something good, and then I must touch it up. I am rather shaky. 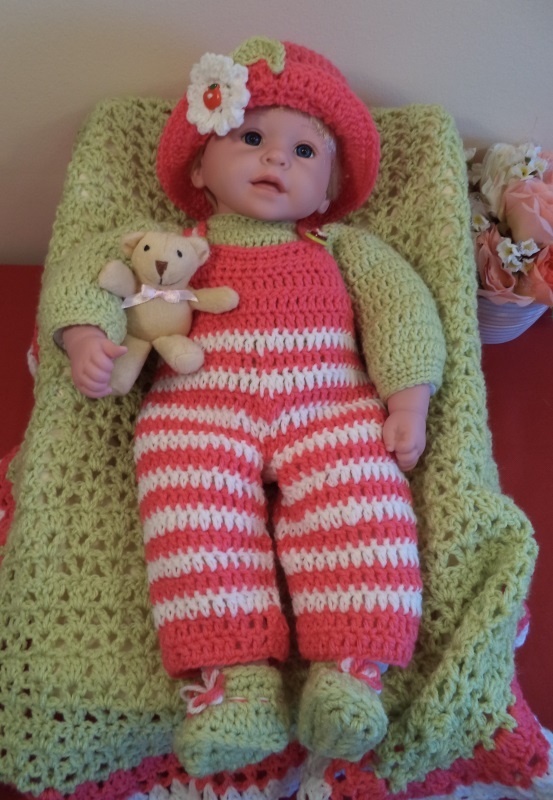 All I do is doll clothes, and I try to comment and say " thanks" to all those who put in free patterns. I think most people are appreciative, even though they forget to say so. I will miss your patterns, but please be sure to continue to post what you make even though you don't write the patterns. Thank you. 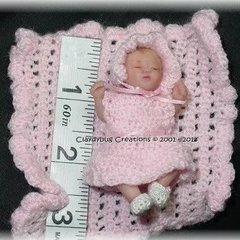 And I am looking forward to just creating doll clothes. I do plan to show those as inspiration if nothing else. I have not been on this site for around 4 years but I remember you Darski. 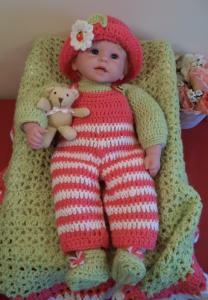 I want to tell you these patterns are adorable and I know how much work goes into making your own pattern. Some people wont thank you but all your hard work is appreciated. Thank you for posting your patterns! Thank you so much, I love looking at what you create! I have 2 out of the 5 granddaughters that love dolls, so I'm going to give this one a try. This is just the sweetest and my granddaughter is going to love it. 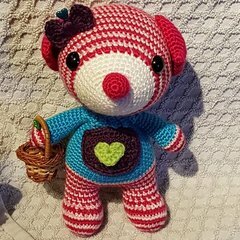 Thank you so much for the wonderful pattern.